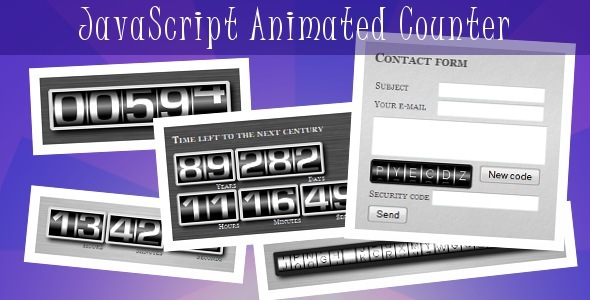 Counter can be also used as an any text, date, time or any symbol displayer. Animated, smoothed scroll in 3 different style: fixed time, fixed speed and slot machine. Decimal values can be shown with decimal separator and thousands separators. Integer values can be shown thousands separators.